So, I guess I need an attitude adjustment. I'd love to know if any of you have used Skype in your classroom. What did you do? How did you and the kiddos like it? Did you ever do it again? I just need to find a little motivation. I'm the kind of person that will put 150% into any project I find worthwhile. I'm hoping you give me some great reasons to find this valuable. If you've never used Skype at school, what do you think? Is my bad attitude justified, or should I look at this as the perfect opportunity to try something new? Maybe, just maybe, if I beg ask really nice one of you lovely teachers would be willing to Skype with my class??! I'm sure you're just dying to, right? Well, I would love to give you some encouragement, but since I don't even have an interactive board anymore, I'm not up on technology. I will say that I understand your concerns...I feel like I can barely get everything in now without having to skype! 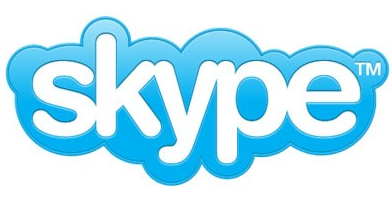 I have not skyped before at school...but I would definitely be willing to skype with you guys! Thanks Kim for volunteering! I'll e-mail you to set up something. I've never skyped at school, just with friends. But I'd be happy to try it with you if you want. I LOVE LOVE LOVE to skype!!! We skype with my mom every week. She also skypes with individual students each day as they read her a story. Then she asks them questions so that they can go take an AR test over the story. It's a ton of fun! We also have a skype pal class that we skype with ...like before groundhog day we skyped our predictions and talked about the weather. If you're on eastern time and your kids could Skype early in the a.m. (7:30 or 7:45) I'll Skype with you. We are a kindergarten class in Cairo, Egypt. My first grade class has been Skyping with three different first grade classes this year and WE have learned so much!! Sometimes we just take a few minutes to ask each other questions. You know, those things that first graders wonder about other first graders. We've performed a readers' theater and read books. We also did a "Rhyme-off" with one of our Skype pal classes. It may seem scary and unnecessary at first, but you and your kiddos will learn so much! To be able to find and play some defence games you can explore the popular gaming sites. You will be able to find great variety of these activities on these sites that allow you to have the time of your life. As players around the world have different skill level and liking, the wide options in these games allow you to find and play the game which suits your own internet and expertise. This is why players with different likings and skills love to play these activities. Also, this universal appeal of the defence games makes them a great choice for all. So get online and check out some of these games to enjoy some thrilling activities now! I'd love to give it a go with your class. I haven't tried it yet with kids so am a bit nervous like you. May be trouble with time differences though...we are in Adelaide, South Australia. Here are my details if you or anyone else is interested..